The Australian edition of the Zimbabwe Achievers Awards (ZAA) rounded off the global campaign in style, at a gala dinner held in Melbourne. Guests turned out in their numbers to celebrate this year's 85 nominees who made an impression throughout the year, in a number of sectors that include business, media, sport and music. Organising Director for ZAA Australia, Method Mukundu said: "This year's gala dinner at the Marriott was a huge success. 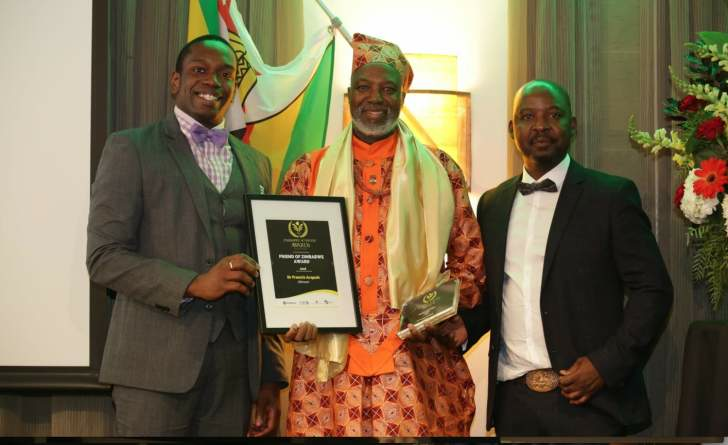 It was a great night of celebration and of Zimbabwean excellence. ZAA is also a great platform for networking with like-minded Zimbabweans who are putting the nation on the map." "This was our second awards gala in the country and we are only going from strength to strength," Mukundu said. "We are also excited to announce that Sydney will host the third edition and preparations have already started," he added. Stephen and Shillar Sibanda were joint recipients of the Chairman's Award. The husband and wife were recognised for their selfless and outstanding work in the Zimbabwean community in Melbourne and Victoria. All the global events were this year, sponsored by Fintech Company, WorldRemit, who partnered to bring the UK, South African and USA editions. ZAA International Chairman, Conrad Mwanza said: "I am incredibly humbled and proud of our global partners and teams, who continue to amaze me every year with their determination and tenacity to put on outstanding awards galas and, who arduously work to ensure that the awards process is followed strictly." "Not many people understand how difficult it is to put on an awards show. All the work in the background, from nominations, to doing the research and verifying all our candidates before we come up with a shortlist is tough but, we have great teams in place who are committed to making sure that we recognise and celebrate the achievements of our fellow Zimbabweans annually." "The public are very crucial to this process. They are the glue that holds this process together and who help us discover the hidden gems and unsung heroes. I encourage them to put all these people forward in 2019, as we continue to recognise the extraordinary work that Zimbabweans are doing," he added. Meanwhile, nominations for the South African and UK editions will open up on 1 December. An announcement is scheduled for 30 November, where South Africa's headline partner will be announced, ZAA International has confirmed.